The event, “Building a 2020 Vision for South East Europe”, was co-organised by the Organisation for Economic Co-operation and Development (OECD) and the Government of the Republic of Slovenia, with RCC Secretariat’s support. 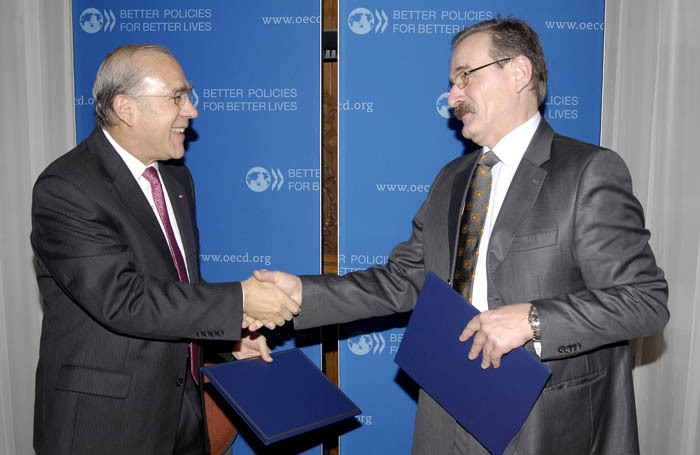 A Memorandum of Understanding on the transfer from the Organisation for Economic Co-operation and Development was signed by OECD and RCC Secretaries General, Angel Gurría and Hido Biščević, respectively. South East European (SEE) ministers and other high-level officials welcomed transfer of the SEEIC’s management to the RCC as a sign of progress and enhanced regional ownership. “The transfer of management of the SEEIC from the OECD to the RCC acknowledges the new political and economic realities of the region and the need for increased regional ownership”, said Biščević. Introductory remarks at the conference were delivered by Samuel Žbogar, Slovenian Minister of Foreign Affairs. “By sharing best practices amongst each other, seeking common comparative advantages and reinforcing regional cooperation, South East European economies will be able to make the region more attractive for foreign investors,” said Minister Žbogar. Conference participants underlined the impact of the global economic crisis on South East Europe and the inherent economic vulnerabilities it has revealed, especially with regard to regional competitiveness and future growth prospects. 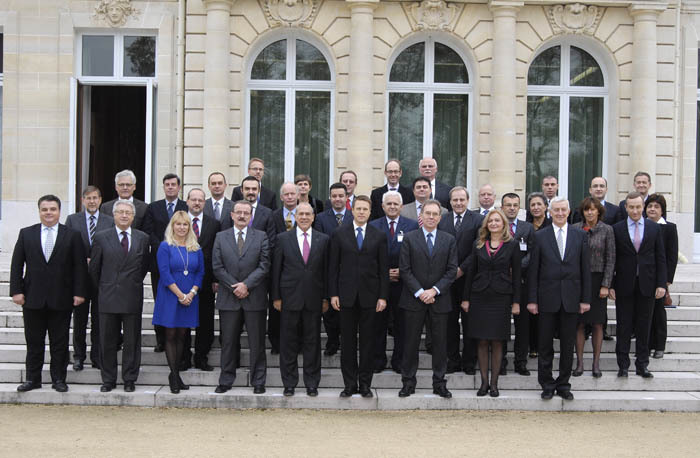 They emphasised the value of continued private-public sector dialogue and co-operation towards growth and development. At the close of the meeting, SEE ministers endorsed the “2020 Vision for South East Europe”, a common regional vision, which calls for a consistent implementation of economic reforms to foster integrated, smart, sustainable and inclusive growth underpinned by good governance and the rule of law.